Lalitya Munshaw who has shown her magical voice in Film, Indi Pop, Fusion, Bhajan, Ghazal, Folk, etc now once again she is gearing up with her soulful and melodious song in movie commando. She had sung a popular song “Loot Jawaan” starring Vidyut Jamwal and Pooja Chopra in Commando which get millions of hit on Youtube. "Loot Jawaan" is a duet song which is sung by sufi singer Dhruv Sangari, composed by Mannan Shaah and penned by Mayur Puri. Versatility could well be Lalitya Munshaw’s middle name. Trained under late Padmashri Kalyan ji of Kalyanji-Anandji duo, this powerhouse performer has forayed into fusion, film songs, romantic melodies, bhajans and ghazals. She has more than fifteen albums of various genres to her credit. Her musical videos are also a treat to the music lovers. She has performed and recorded with maestros of the Industry. Soon she'll be releasing a Sufi album 'Rab Piya' and a lounge album 'Indian Chill Harmonics'. 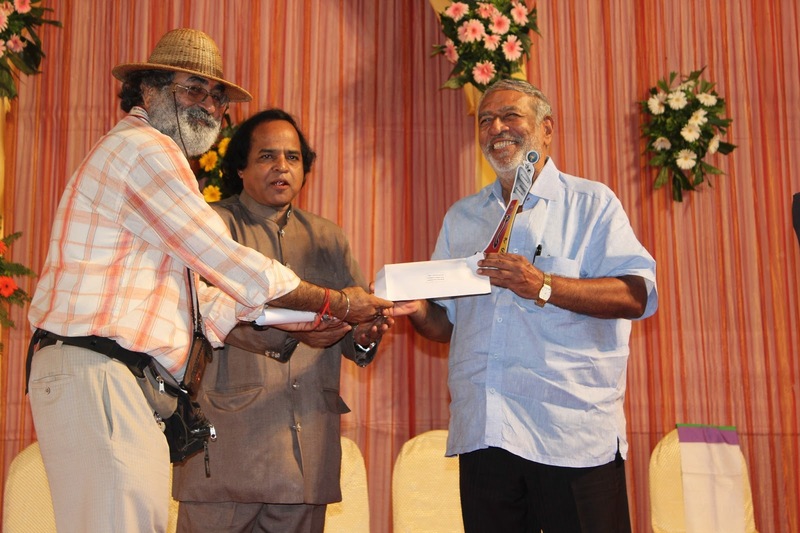 DADASAHEB PHALKE AWARDS WERE ANNOUNCED ON 25TH APRIL AT TIME AND AGAIN. AMONG THOSE WHO ATTENDED THE PRESS CONFERENCE WERE MALA SINHA, NIMMI, PREM CHOPRA, DISHA VAKHANI, GAJENDER CHAUHAN, ALI KHAN, HABIBA REHMAN, BIRBAL, MUKESH RISHI, ANIL DHAVAN, SAHILA CHADDHA, DAYA SHETTY, YOGESH LAKHANI OF BRIGHT, POOJA MISHRA, A.K. 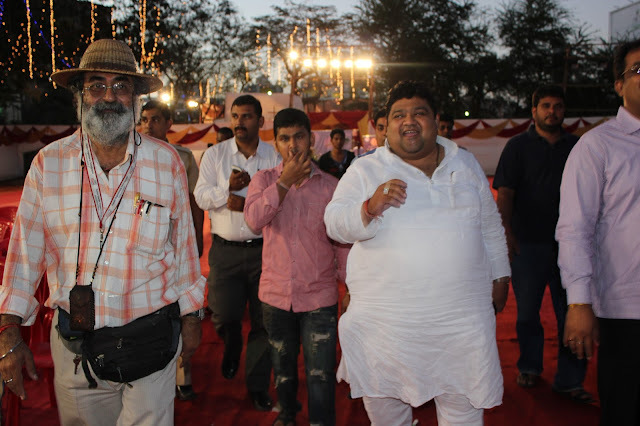 MISHRA, SANTOSH SINGH JAIN, NEENA JALAN, SANGRAM SHIRKE, NIMAI BALI, NAWAB ARZOO, DHARMESH TIWARI, DINESH CHATURVEDI & PRABHAT PANDEY. THE AWARD FUNCTION WILL BE HELD ON 30TH APRIL AT BHAIDAS HALL, VILE PARLE (W) MUMBAI. The Partition of Indian & Pakistan in the year 1947 is one of most gruesome acts in Indian History which affected all the facets of society. And stage always being a potent medium to convey the social plight, few talented playwrights has successfully portrayed them through their plays since India’s independence. Some are the adaptation from Novels where protagonist’s life seems to be majorly impacted by aftermath and some taking Partition itself as a central theme. Producers Raja Chaudhary and Bhagirati Powdel with Shiv Bhagirathi Films Production and Akshra Groups Creation’s launched their new play based on ATMJIT’s ‘Rishtian Da Kee Rakhiye Na’, Hindi play under the title ‘Toba Tek Singh’. Raja Chaudhary and Bhagirati Powdel who have produced and acted in the play, draws its material from real life incidents and tales told by elderly relatives who had been through the trauma of the times portraying the suffering of the people who had to undertake arduous journeys, most often, away from their homeland, to another country and milieu. The play based on the lead protagonist – Toba Tek Singh, revolves around his life, how he recollects and shares his experiences with his fellow prisoners in Lahore jail. Nepali actor Bhagirati Powdel will be seen opposite Raja in the play. The controversial actor Raja Chaudhary, who made headlines for his brawls and marital trouble with Shweta Tiwari, was banned from entering Mumbai by law. But even then Chaudhary wasn’t sitting idle if you may think. The blessing in disguise came for him in the form of a film ‘Daal Mein Kuch Kaala’ with Pakistani starlet Veena Malik and he was also seen in Sunil Agnihotri’s popular costume drama ‘Chandrakanta’. But now things have changed for the better and with the play Toba Tek Singh, Raja is looking forward to start a new inning. “I’m very happy to be back to the place where I belong to – Mumbai. Now I just want to focus on my work. The play which I’m doing has shaped up well. I really hope people will like it since it’s based on India-Pakistan partition. 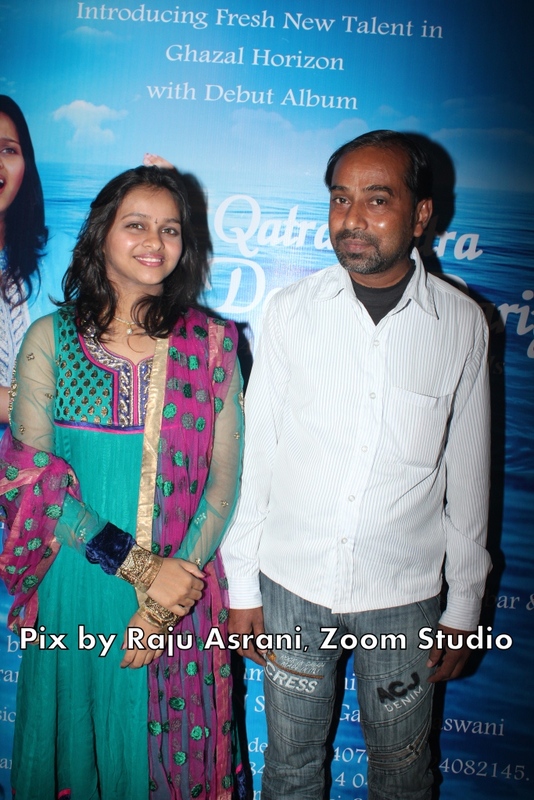 Bhagirati said, “I’m very glad to play one of the lead roles in Toba Tek Singh. Raja Chaudhary is a talented artist and we hope the play conveys the message to the people and the intention with what it has been created.” The play is a tribute to writer Saadat Hasan Manto on his birth anniversary. The Hindi adaptation is done by Saurabh Bhardwaj and directed by B.P.Singh. 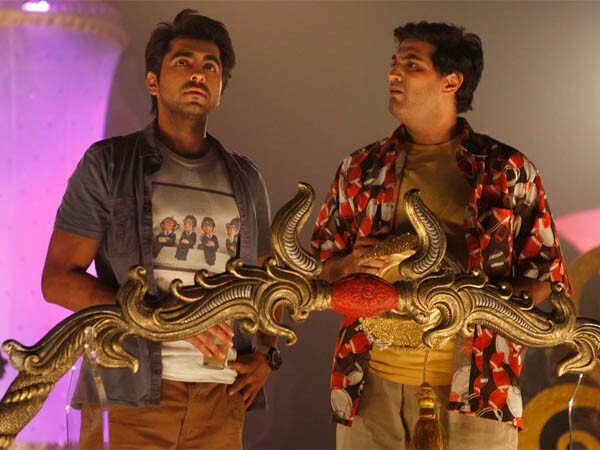 The play stars Raja Chaudhary in the title role with Bhagirati Powdel, Saurabh Bhardwaj, Jitendra Sagar, Sunit Razdan, Sumeet Tyagi, Neeraj Sharma, Alka Maheshwari and others. The play is scheduled to take place on 28th April at RangSharda auditorium. 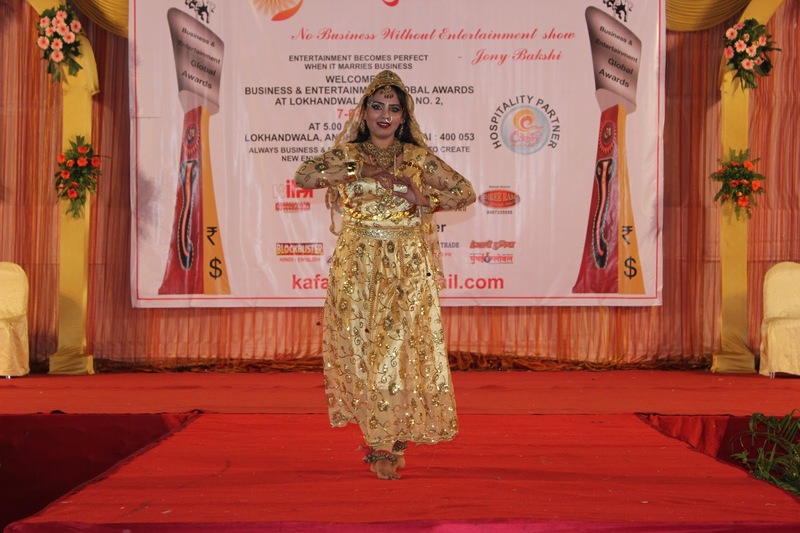 The best new comer short film maker KAF'S BUSINESS & ENTERTAINMENT GLOBAL AWARDS-2013 has given to PRIYANKA RAINA on Sunday, 7th April 2013 at Lokhandwala Garden, Andheri West, Mumbai. Where more than 60 business and entertainment veteran person were honored in different categories from out of 1109 entries. M. L. Peswani, Ms. Minidas, Smt. Anghana Rane, Ajeet Joshi, Smt. Shalinitai Thakerey, Idrees Nizami, Dharmeel Girish Shah, Manu Shukla, Ms. Reeta, B. K. Tambe, D. B. Chand, Arun Puri, Prem Shukla, Manmohan Gupta, Saami Tambedkar, Shambhu Soni, Gurmit Singh Bedi,, Rajnath Sharma & Yogesh Lakhani. 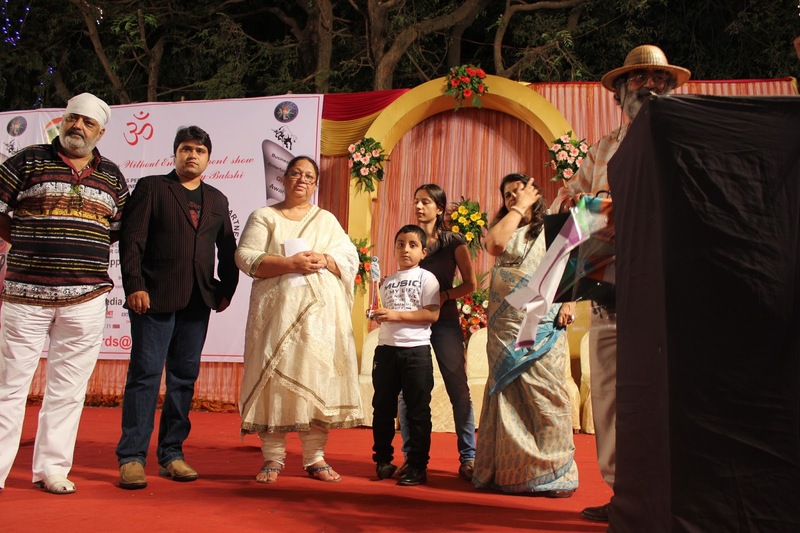 The dance and musical program were presented by Hemant Godbole, Ms. Nisha Seth, Suhel Ansari and Rahman Ali in the event. The award function was hosted by Salauddin Skaikh and organized by Ravindra Arora in association with Ali Bhai of Ali Decorator. The hospitality partner for the awards The Country Club India Limited. Publicity was done by Oneup Relations PR agency, Mumbai. 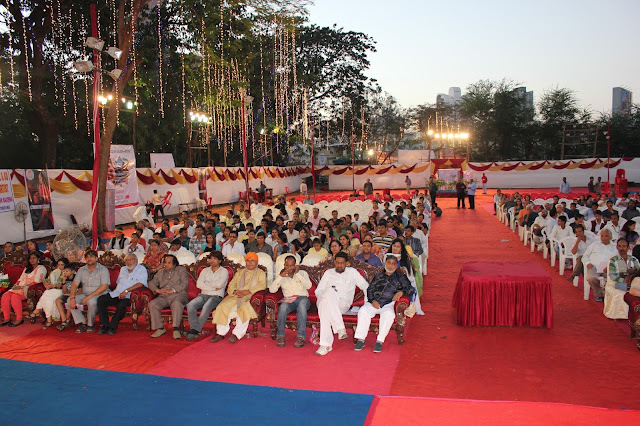 Vishwashanti Sangeet Kala Academy (VSKA), was inaugurated by India’s Nightingale and Bharat Ratna Lata Mangeshkar in a glittering event on Thursday, 11th April 2013 at Rajbag, Loni Kalbhor, Pune. Lataji lit the auspicious lamp and declared the institute open with her mesmerizing chants of the Gayatri Mantra. 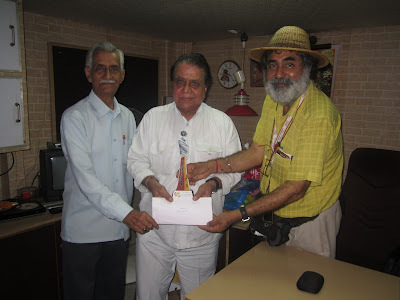 Accompanied by Pandit Hridaynath Mangeshkar, Usha Mangeshkar, Meena Khadilkar and Music Maestro Ustad Amjad Ali Khan, Padma Bhushan Mohan Dharia, Babasaheb Purandare, Zia Fariduddin Dagar, Annasaheb Dange and Karve Guruji the VSKA opened doors to music lovers and students from around the globe to train in classical Indian Music and western music of 160 countries. Many dignitaries presented odes and prayers at the ceremony. The students of MIT have the option of pursuing their formal education while training in Music. Classes begin from August 5, 2013. It is open to student as young as seven years. · Shaami M. Irfan from Pune. Pooja Gaitonde is an aspiring ghazal singer. 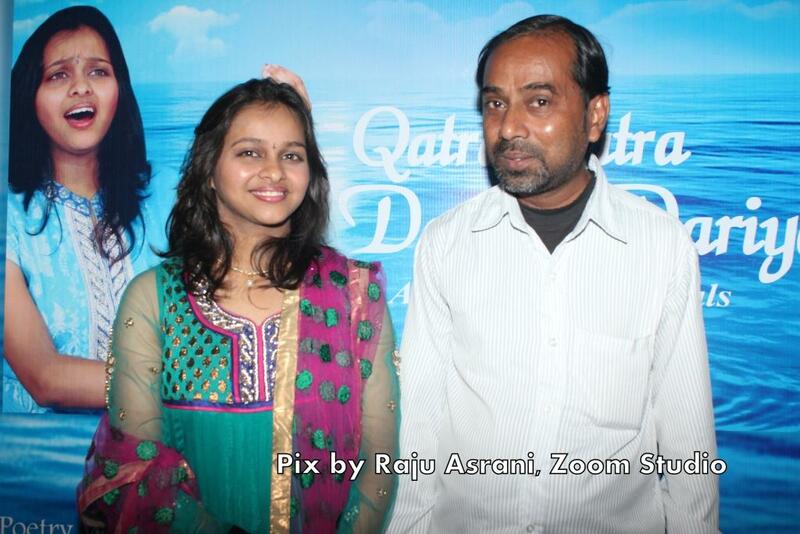 She is coming out with her debut ghazal album QATRA QATRA DARIYA DARIYA as a singer and composer. The album will be launched on 19th April. Recently the press meeting was held at Aishwarya Hall, Andheri, with her own program. She told that, the album’s poetry is written by Nida Fazli, Naqsh Layalpuri, Mumtaz Rashid, Anjum Rehebar & Saeed Rahi, script by Zameer Kazmi and narration by Javed Ahmad Sakhi. The album is releasing by Amore music company. 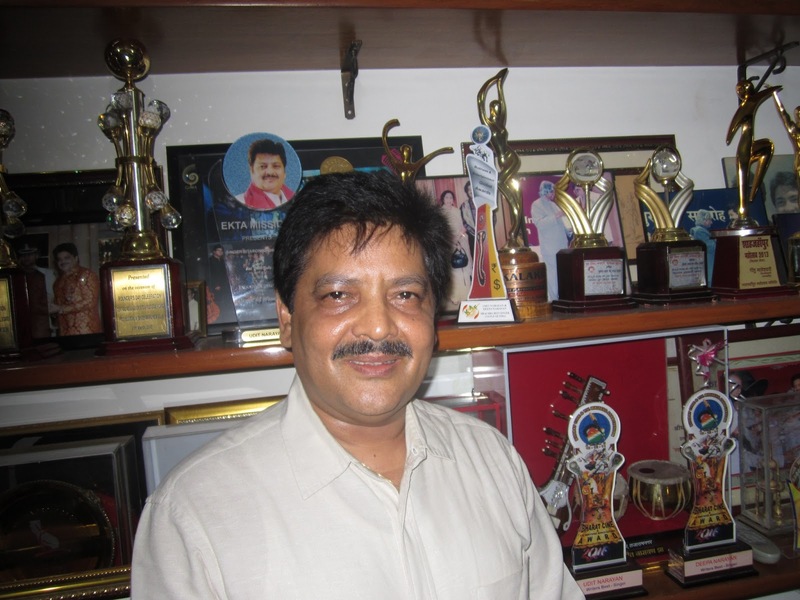 Arun Kumar Sharma, the Chairman and Managing Director of India’s fastest growing oil refineries Lotus Refineries Pvt. Ltd has started WOMEN’S PRERNA AWARD. 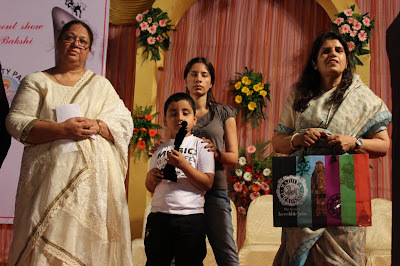 The first award distribution ceremony was held at Tulip Star Hotel, Juhu on 9th April. Mubarak Begam and Sitara Devi were felicitated with cash prizes. 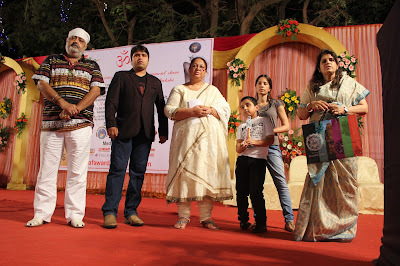 Sindhutai Sakpal, Saroj Khan, Disha Wakhani, Jabeen Kak, Smita Salaskar, Reshma Gangji, Smita Thackeray and Sania Mirza are among others, who were felicitated in this occasion. Himesh Reshammiya, Kapil Sharma, Claudia Ciesla, Bhumi Trivedi etc. performed at the function. 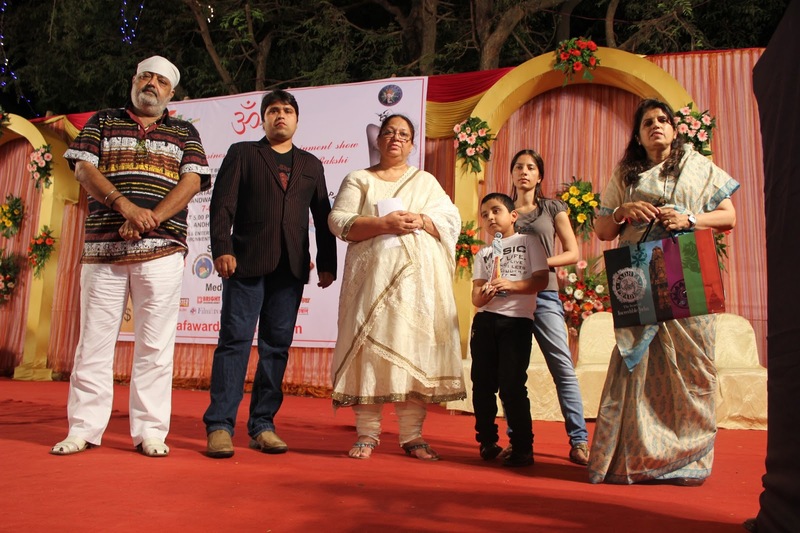 The award show was hosted by Mini Mathur and Cyrus Barucha. Bali Brahmbhatt, Payal Rohatgi, Sangram Singh, Jacky Bhagnani, Kavita Seth, Mauli Dave, Micheal Chang, Hema Serdesai, Yogesh Lakhani of Bright, Urvashi Chaudhary, Madhurima Tuli, Vandana Sajnani, Riyaz Gangji, Dheeraj Kumar, Shailesh Lodha and many others came on stage to support event. Labels: Awards, bollywood, entertainment, News. KAF'S BUSINESS & ENTERTAINMENT GLOBAL AWARDS-2013 distribution function was held on 7th April 2013 at Lokhanwala Garden Number 2, Andheri (West), Mumbai. Where more than 60 person were honored in different categories in out of 1109 entries. 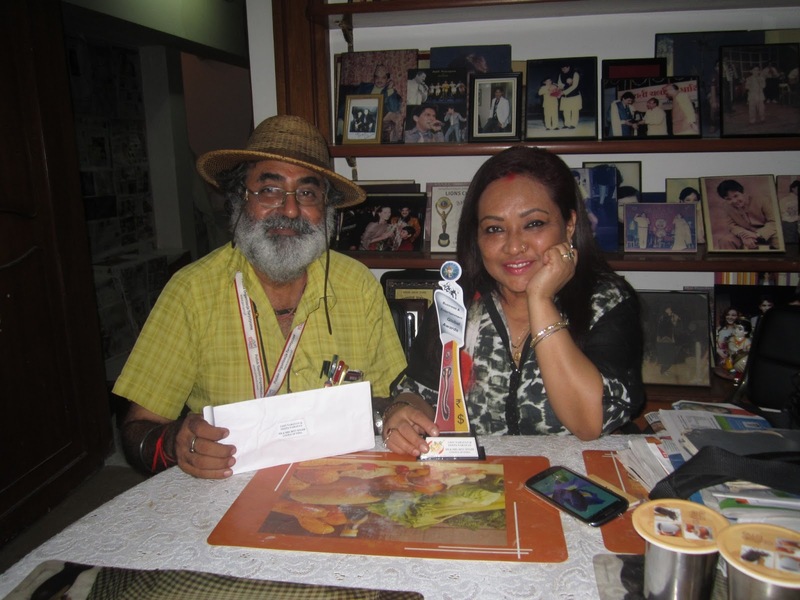 & Yogesh Lakhani (best outdoor media publicity Bright). The program was hosted by Salauddin Skaikh and organized by Ravindra Arora in association with Ali Bhai of Ali Decorator. The hospitality partner for the awards The Country Club India Limited. Publicity : Oneup Relations PR agency, Mumbai.